There are many dogs that have left their mark and have made history for different reasons. Some of them made us laugh in funny movies, others as police dogs, and other have saved many lives. This last example is the case of our hero today: Atila. Atila was a 10-year-old Belgian sheepdog who died in march of 2016 from lymphatic cancer. A great dog, a great friend, and a great professional has said goodbye to us. Would you like to know his story? Atila has a French background, because his entire family is from there. In fact, his grandfather was a rescue dog just like him, so this dog already carried saving lives in his veins. Atila came into the arms of José Manuel Pérex Zarza when he was six months old. Since then he became more than just a pet. He was his friend, his loyal companion, another member of his family, and the best partenaire in work. 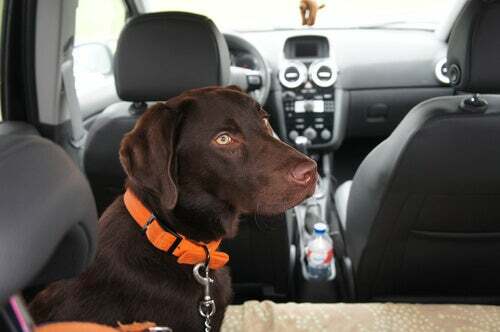 Atila began with his owner from the bottom, in the Group of Rescue Dogs in the Canary Islands. Little by little, seeing their great skill, they entered into the National Association of Spain and Germany, as well as the National School of Civil Protection of the Interior Ministry. This is how they managed to earn themselves a place among the best. Thanks to this training, he was able to become a part of The Catastrophe Intervention Group (CIG) of the Spanish School of Rescue and Detection Dogs (ESDP). He was also accredited and recognized by the United Nations (UN) for the search and rescue of both natural and non-natural disasters. Part of his training was in the search of Yeremi Vargas, a child from the Great Canary Island, who disappeared 9 years ago. While his whereabouts are still unknown, Atila helped in a huge way to uncover clues about this case. This dog saved dozens of people’s lives when they seemed to have lost all hope, and he became the most valued dog in the field of rescue. 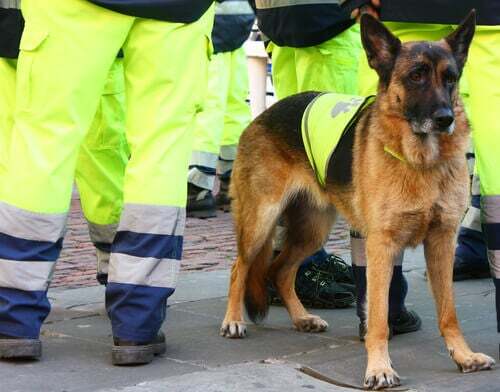 Ten years of getting up together and working together daily… Without a doubt this has not been an easy loss for José Manuel, who assures us that Atila was not only a working dog, but above all a family member and a friend. Everyone that knew Atila, from public institutions, friends, rescue partners and friends, have sent their condolences to José Manuel, who couldn’t contain the tears and pain that he felt for the death of his companion. All an example of love for one’s work is what this animal has left us. His assignment was not simply something that he liked, he was motivated by the love for the people that he saved. This is why he became the best. We know that there will be no other like him and we thank him for everything he did for those that he helped. As a tribute we would like to thank all of those rescue dogs and their owners who, day by day give everything to help others, even at the cost of their own lives. Where would we be without them? Thank you, a thousand times over.